On Tuesday the Dallas County Commissioners Court voted in favor of giving African Americans reparations for slavery—but didn’t quite mean to do so, the Dallas Morning News reports. 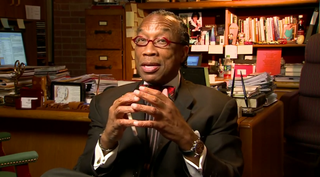 According to the news site, the resolution, written by the only black commissioner in the county, John Wiley Price, was dubbed the “Juneteenth Resolution,” and several other commissioners admitted to not reading up on it before they cast their vote. However, having realized what they did, most of them did not bother to change their vote, calling it symbolic. The only Republican in the court was also the only one to change his vote to an abstention. “The reason why I didn’t abstain this morning is that I had not received a copy of the resolution,” he said. Nonetheless, although the resolution is officially the county’s stance on the issue, it is nonbinding and allocates no tax money to any initiative. It does, however, serve as a stark lesson for the commissioners. “I want to encourage staff to make sure that all of the commissioners have the opportunity to actually read what they are voting on before [they] vote in the future,” Jenkins said.